This short tutorial will show you how to run your first target. Make sure you've had a look at the previous tutorial before reading this section. 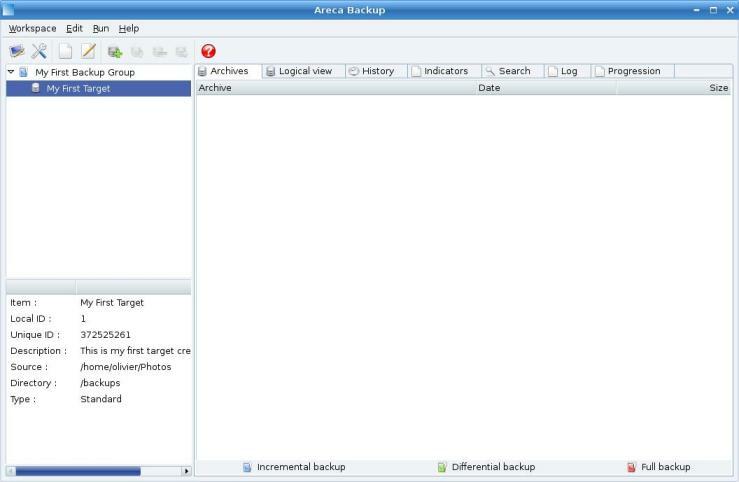 It is assumed that you've installed Areca using the default procedure of your system (Linux or Windows). Make sure you've had a look at the previous tutorial (Section 1 : "Configuring your first target") before reading this section. 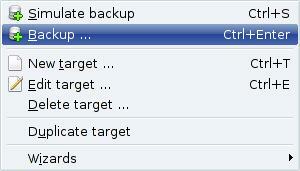 ... right click and and hit the "Backup" item in the menu that appears. 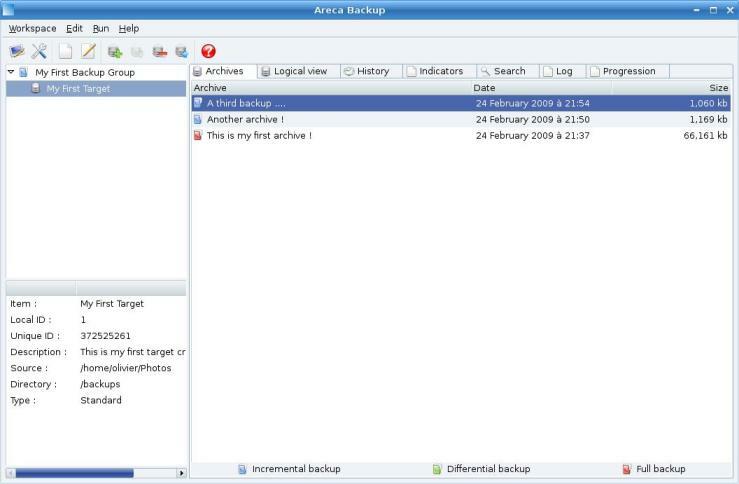 We want to provide a short description for this first backup, so select the "Add manifest" checkbox and enter "This is my first archive !" as title. 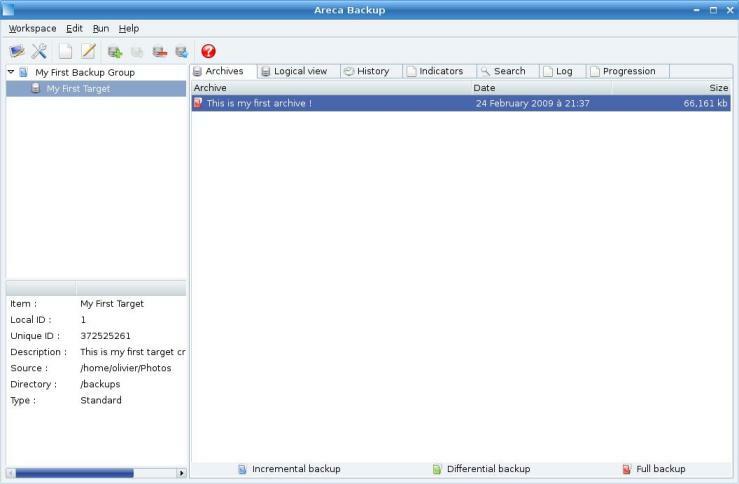 Once the backup is completed, your new archive appears in the "Physical view" tab ... that's it : you've created your first archive with Areca Backup ! Enter "Another archive !" 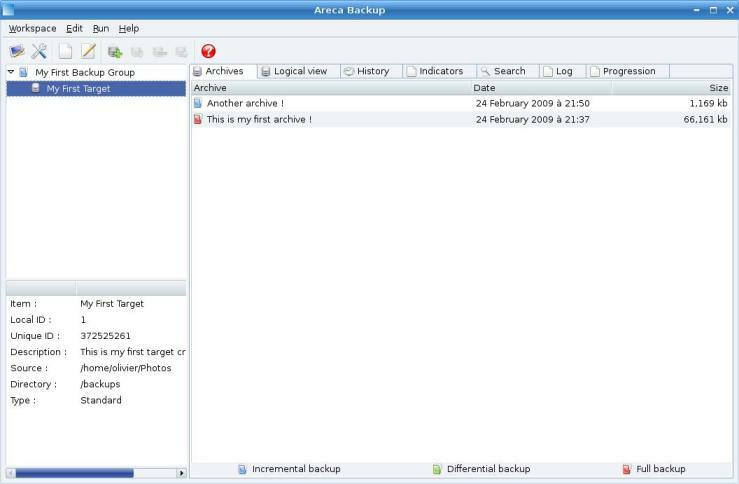 as archive title and hit "Start Backup"
Once the backup is finished, you can notice that another row appears in your "Physical view" tab. This is your new archive. You can notice that it only contains the new file (all other files are greyed). 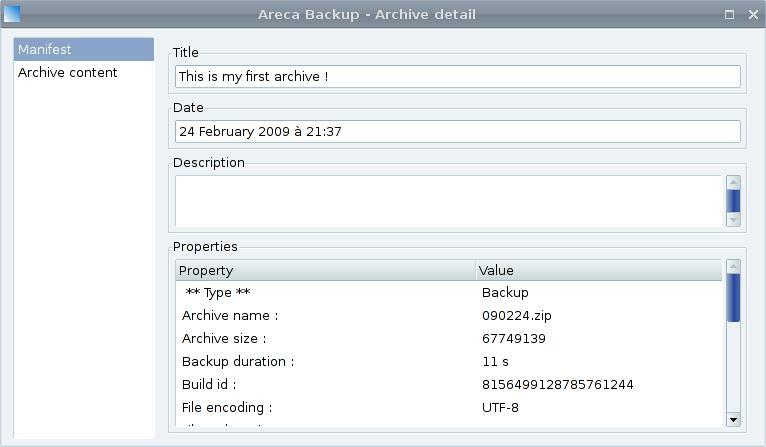 This is called "Incremental backup" : Areca only stores new or modified files. 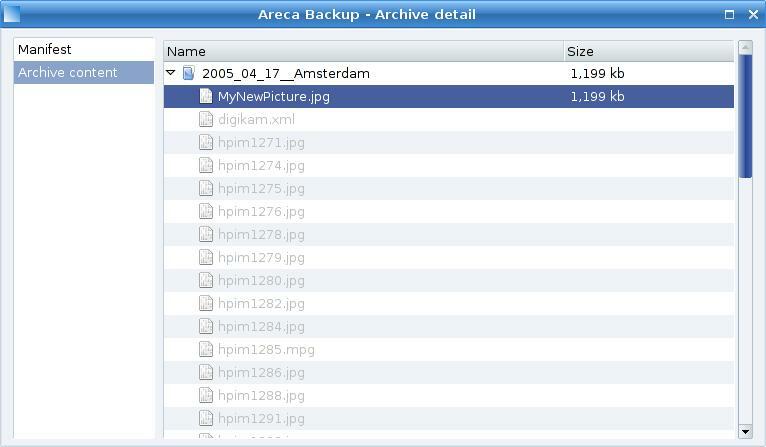 If you select the "MyNewPicture.jpg" item, you can see its history on the right side of the tab. 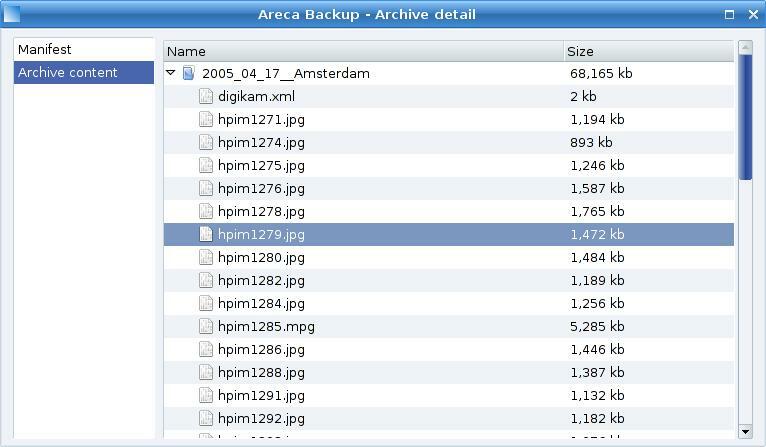 In this example, you see that the file was created at 9:50 PM and modified at 9:54 PM.